Mountainous Countryside In Evening. 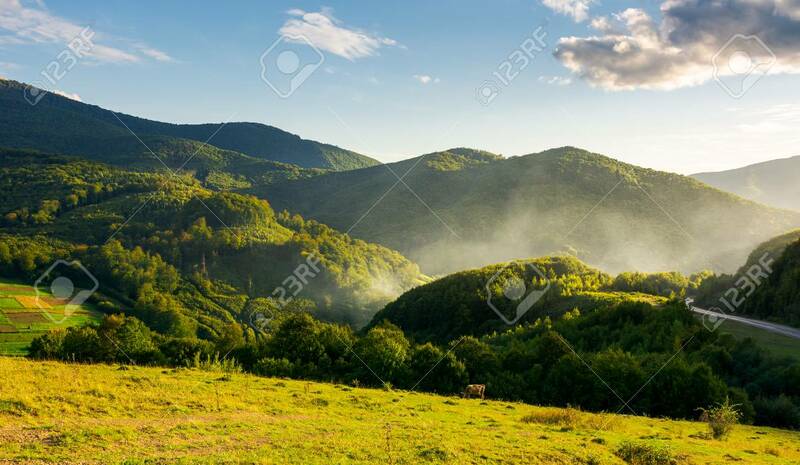 Fog Or Fire Rise Behind The.. Stock Photo, Picture And Royalty Free Image. Image 107011687.